UPDATE #2: This is what they just posted on their facebook: “Please accept our apologies for issues experienced with the Tide Challenge tonight. To make it fair to each of you we’re postponing the launch until we’re sure that ALL technical issues are fixed, and will be increasing the number of Tide Stain Release 10 count packs up for grabs to 150,000!! Stay tuned for a new date & time. Sorry for wasting your time – it’s truly unacceptable. Thanks for bearing with us.” I’ll make another post as soon as they announce the new date & time. Today @ 9 PM (Eastern Time) Tide will be giving away 100,000 samples of their new Tide Stain Release. If you’re one of the first 100,000 people to register, you’ll be able to reserve a free sample for yourself and three of your friends. Grade A stuff. I’m unqusetioanbly in your debt. 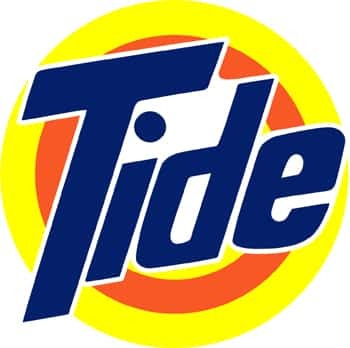 I LOV E TIDE AND CANT WAIT TO GET MY SAMPLE………. I like tide can’t wait to try it…. can not even get into the site for the stain release challenege!!!!! I love Tide,my mom always used Tide,nothing else. It’s not working for me either…and it’s after 9 PM ET. Facebook was having too many problems with so many people trying to connect for this offer, so they postponed the offer to a date later to be determined and raised the offer to 150,000. We will all just have to stay tuned for our free tide! I stayed up last night to get this , and I understand you had difficulties but I can’t even sign up for when it is released? i love tide….cant wait for the new date & time to be posted..